This was the first year I went foraging for elderflower and I had such a great time, as a matter of fact I went foraging for it on two separate occasions and came home with baskets full of the pretty white flower heads. I did go a little overboard with making the cordial and champagne, in the end I think I made about 50 bottles (not that I’m complaining!) 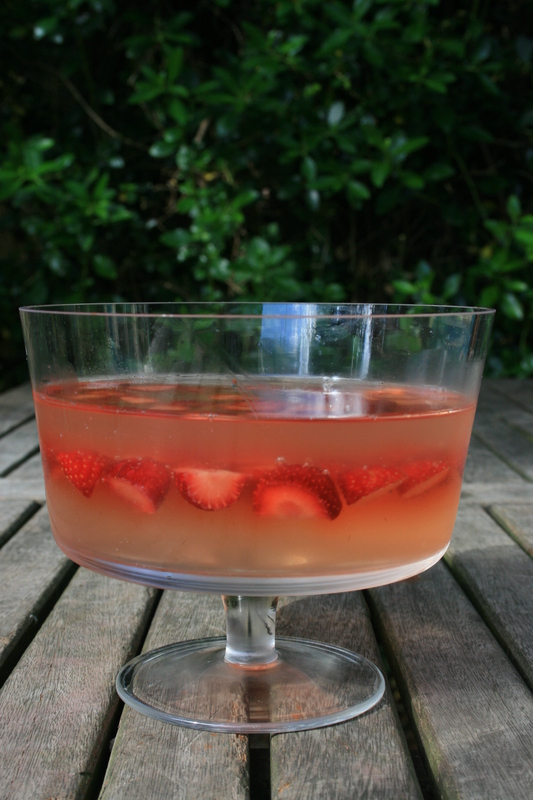 I especially love the cordial mixed with lemonade, however I found out that there are a lot of other recipes that use cordial as an ingrediant including the strawberry and elderflower jam recipe I featured in a previous post. I also happened to chance upon this jelly recipe and I just couldn’t wait to try it, I am a huge lover of jelly and elderflower so it was a match made in heaven! I had never made jelly before and didn’t realise it was this easy. It was the most delcious jelly I have ever tasted, my new favourite dessert and I will definately be making it again! 10 or more fresh strawberries, you can add how many you feel like! Katie, I discovered your utube videos three days ago and I put you in my favorites. I’ve watched most and I just love your passion for gardening, wildlife and good home grown food. 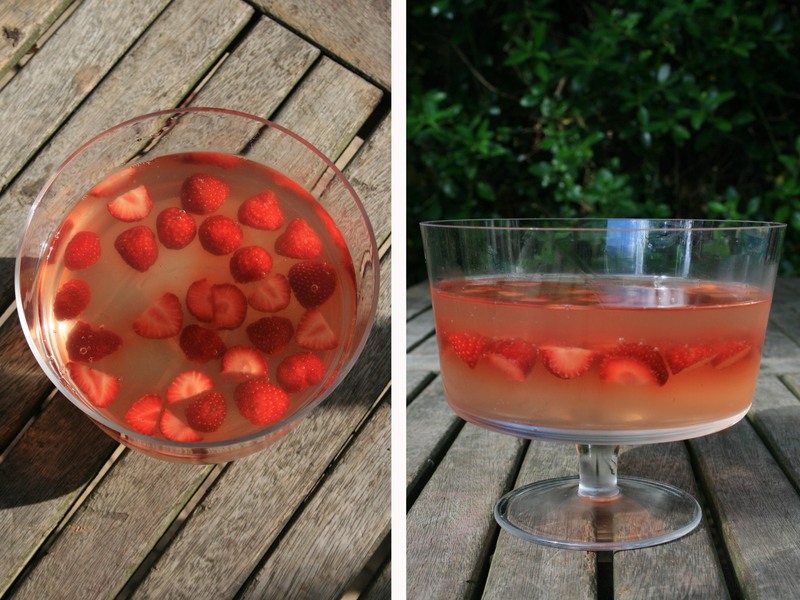 I did elderflower liqueur last summer and elderflower champagne two summers ago. The champagne was my favorite, the liqueur , not so much. This year the flowers are in bloom here in Stockbridge, Georgia right now. Not sure if I want the flowers, or just wait for the berries and make wine. Anyways, making jelly is a wonderful option. Thank you for the idea!